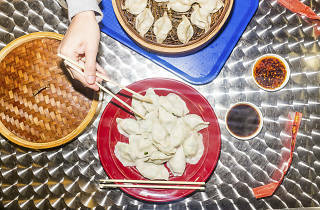 Chinatown’s Richland Center mall is a Windy City favorite for cheap, authentic Asian eats: its food court counts excellent Filipino, Japanese and Chinese vendors among its yummy offerings. 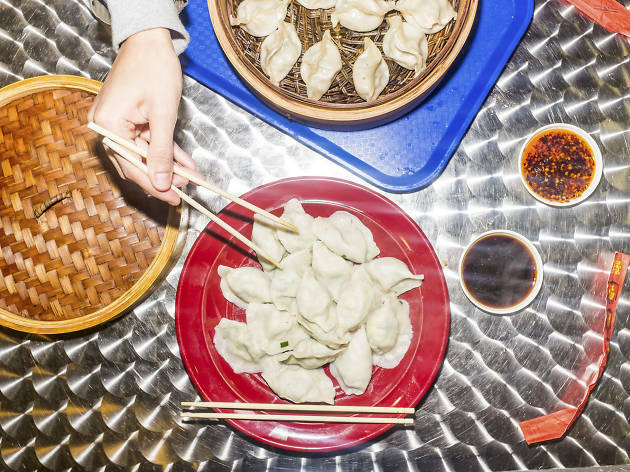 In the latter category, we flock to Qing Xiang Yuan, a sleek, recently renovated sliver of a restaurant steaming up delicious dumplings in a variety of flavors. The lamb and coriander variety, bursting with juicy, well-seasoned meat, is our fave, but we’re also partial to pork and zucchini and shrimp and leek dumplings. El: Red line to Cermak-Chinatown, Green line to Cermak-McCormick Place. Bus: 24, 62.